If you have made some home video for your wedding, the kids, the pets or interesting stuff, you may want to show them to your friends at a party. Then you should pick a DVD burner program to burn video to DVD and play them on the home DVD player. 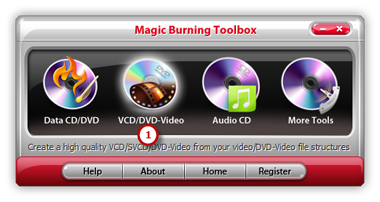 Magic Burning Toolbox is the right tool to do easily create a video DVD from your video collection. Launch Magic Burning Toolbox. 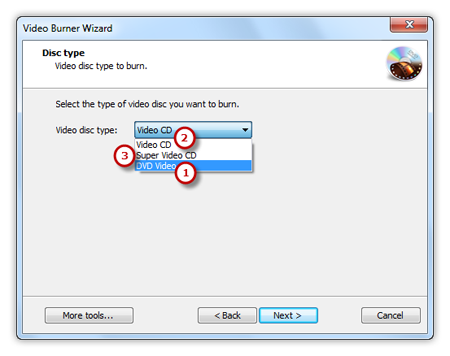 Insert a writable DVD into your disc drive, click “VCD/DVD-Video” to run the video burner wizard. Select “DVD Video” from the dropdown menu of “Video disc type” to meet your demands. Another 2 types: “Video CD” and “Super Video CD” are also available for you. 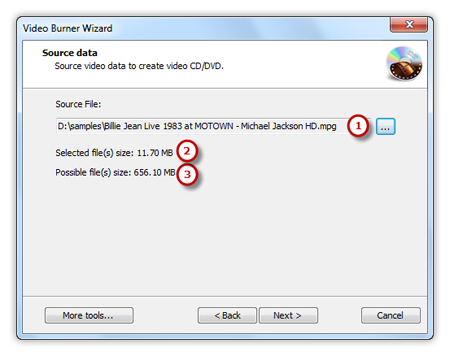 Click the square button to add source video file you want to burn and you can have a review of the selected file size & possible file size (if you want to burn video DVD, add premastered VIDEO_TS folder; burn video CD, add MPEG1 file; burn super video CD, add MPEG2 file). 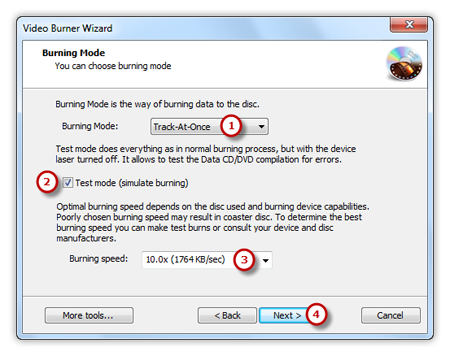 Select one burning mode from the Track-AT-Once, Session Track-AT-Once, Disc-AT-Once PQ and Disc-AT-Once raw P-W as needed . You are allowed to use Test Mode to simulate burning for checking errors. Then, choose the appropriate burning speed . Click “Next” to start burning and wait until the process bar reaches 100%. 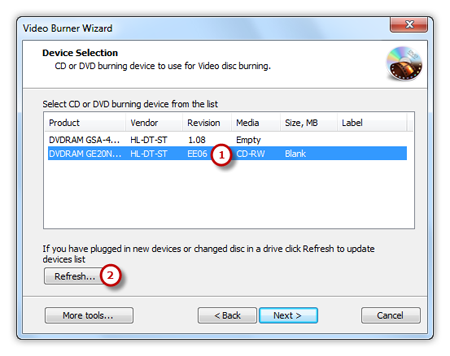 The disc will eject after the video DVD has been completely burned.